Imagine if you could print artwork on suede! That's what dreamScape™ Suede wallcovering material resembles. The lightly stippled surface has the same type of nap and random, natural texture of a luxurious suede fabric. The texture adds warmth to the print without disrupting print detail. The material is fully compliant with all fire codes for indoor commercial installation and engineered for ease of installation and removal. Nolar is a NON PVC wall covering material that is light weight, and suitable for low traffic areas. Nolar has a very dull, low glare surface. Matte is a flat finish with a slight tooth suitable for photographic and detailed designs. This smooth surface is recommended for crisp, sharp edged designs with large color area. The material is fully compliant with all fire codes for indoor commercial installation and engineered for ease of installation and removal. The canvas surface replicates the look of utilitarian canvas. The woven texture has a realistic, fabric-like appearance that softens details and adds a rough threaded dimension. 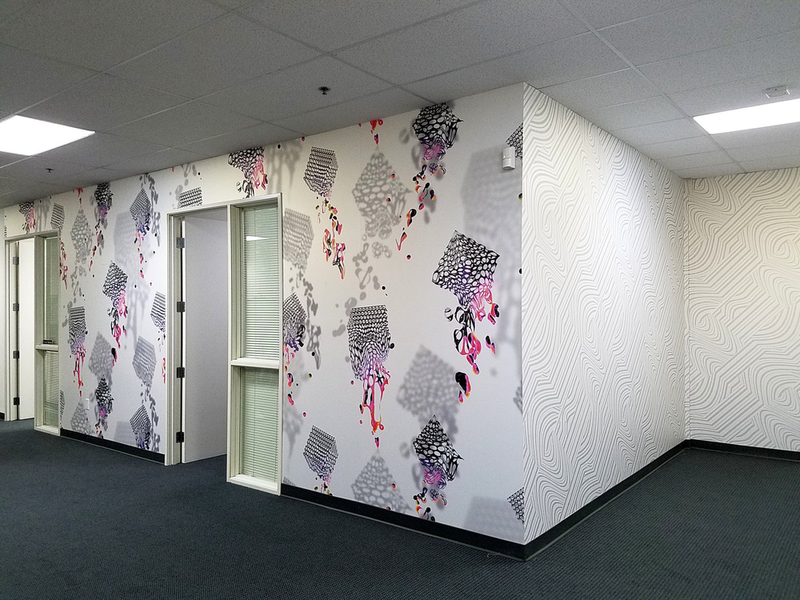 Besides its most common use in wall murals, canvas has been used in fine art applications and is also a popular texture for indoor banners as the texture looks like a fabric.